Lawn Bowlers from across the country will be heading to the Pacific Indoor Bowls Club in Vancouver, BC next week from May 12 – 16th, 2016 as Bowls Canada will be holding its annual National Team training Camp. This year is a special camp as the High Performance committee will narrowing down its selections of 5 Women and 5 Men that will represent Canada at the 2016 World Bowls Championships in Christchurch, NZ. This is the first of two stops this year for Team Canada in Vancouver, as the North American Challenge (Canada vs USA) will also be played here September 29th – October 1st at the PIBC. Among the Team Canada hopefuls are 4 British Columbia stars. Pricilla Westlake, Katelyn Brierley, Jaymee Sidel and Steven Santana. Pricilla Westlake (Tsawwassen LBC) is fresh off her successful trip to Australia. The 20 year olds resume took a huge leap forward this year as she beat some of the Worlds best Bowlers and took home a Bronze Medal at the 2016 World Cup Championship in Warilla, Australia. Recently I had a chance to speak to Pricilla and asked her; You had a great experience overseas at the World Cup and World Junior Championships, are you finding it a bit hard to keeping going or are you feeling well rested after a bit of a break? “The day after I got back into Vancouver from the two World Cups in Australia I found myself right back at the indoor hoping to roll a few bowls and help out at a junior training session going on that day. I was a bit jet lag that day to actually bowl, although currently I am bowling whenever I can at my local club since it just opened for the outdoor season, otherwise I would be driving down to the PIBC several times a week to do my bowls training” said Westlake. 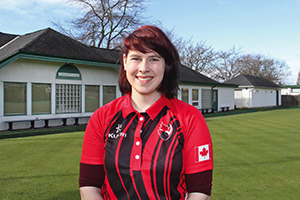 Katelyn Brierley (Central Saanich LBC) will be back for another Team Canada camp in hopes of booking her ticket to Christchurch. Katelyn had a great year last year as she skipped Wendy Lubinich to a Provincial Championship. Katelyn is no stranger to representing Canada as she has participated in the Asia Pacific Championships in 2009 and competed in the World Juniors that same year! Most recently she was part of Team Canada at the North American Challenge in 2014, that was held at Juan De Fuca LBC. 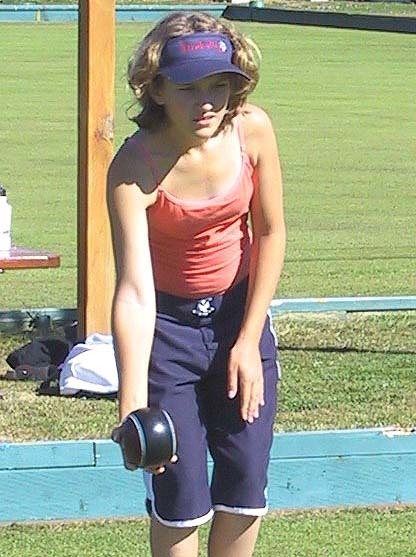 Jaymee Sidel (Oak Bay LBC) has most recently come back from the World Junior Championships played at the Braodbeach Lawn Bowling Club. She won the Canadian U25 Championships in Fredericton in 2014 but this will be her first National Team Camp. Sidel’s first International experience for Canada was at Tiger Bowls and China Open in 2014. She will be attending this years National Camp as part of the Youth Development Squad, looking to gain more experience to help further her Team Canada career. 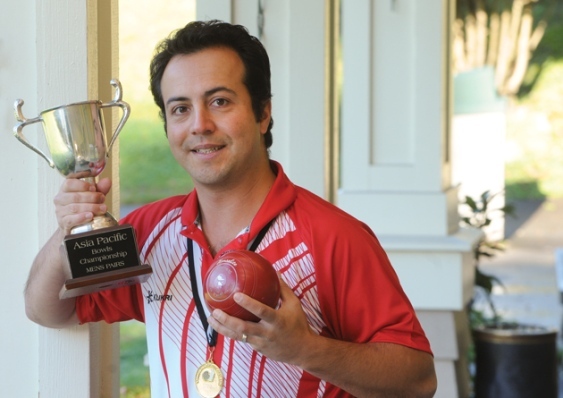 Steven Santana (West Vancouver LBC) will be out on the greens trying to earn his spot for his second consecutive World Bowls Team. Santana will be looking to build off a Gold Medal at the 2015 Asia Pacific Championships where he won with Skip Ryan Bester. Steven has big plans for this year as he will be heading off to play in the Australian Open. In a recent conversation I asked Steven Any advice you can give to a Club Bowler who is looking to make that next step to be able to play for Canada at the International level? “Reach out to a national team member and don’t be afraid to ask questions. Take every opportunity you can to practice and play, especially with them if you can. With everything online now it is easy to connect. Take risks and try new methods. Main thing, have fun with it, every game you play is practice and always learn something new or relearn something after every game/practice session”. Best of Luck to our BC Bowlers next week at training camp, we all know you will do us proud! A huge thanks as well to the PIBC for hosting the Camp, another example of how Bowls in British Columbia is leading the way! Q: How do you feel going into this camp, since you have been through this process a few times now? A: I’m really excited for this year’s camp. Q: What do you really enjoy about heading to the National Camp? A: It’s always great to train against and with some of the best up and coming bowlers across Canada. Q: Best advice for people that are aiming to get the opportunity to represent Canada and play internationally? A: A positive attitude, a good work ethic, lots of bowls training, mental prep and smart goal setting along with coachability, podium finishes, medals won, or indications of improvement at the provincial, national, or international levels, I believe, goes a long ways towards advancing those who aim to get the opportunity to represent Canada at international competitions. Q: With this being a World Bowls year do you feel any extra added pressure heading into next weeks camp? A: No pressure, it’s all about practice and it’s great to roll bowls and spend time with the squad. Together we can discuss and share with everyone how the Asia Pacific’s went and how we can improve our performance and do well at World Bowls. It’s a good time to set goals together and train. Q: Do you feel that you have prepared enough and are at that peak level heading into camp to show how your training has paid off? A: I’m ready for camp and a good week of training. Especially for me leading up to the Australian Open. I know and understand more what I need to do to be better to have success at the international level. Q: What is your favourite part of National Camp? And can you share a memory from a past camp you have been to? A: Favourite part of camp is the opportunity to get a few full straight days of bowls with everyone. How often do we get to train a 4-5 days in a row with most of the team. Favourite time is when we have fun competitions against each other – we were introduced to the power play concept last year in our 5 end 3 bowls pairs games, and that was a lot of fun. It’s great to see the kids under 25 get the opportunity as well as they are the future of the program.